Hosta 'Elvis Lives' has a great "blue suede" color. The leaves are long and very ripply, and it has a very upright shape, almost fountain like. 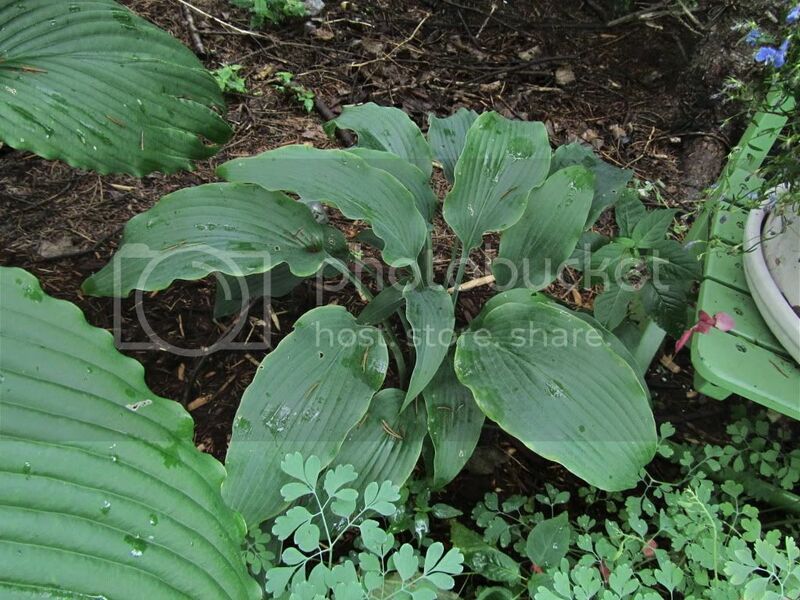 It's a very unique hosta, and will add a great texture and to your shade garden. 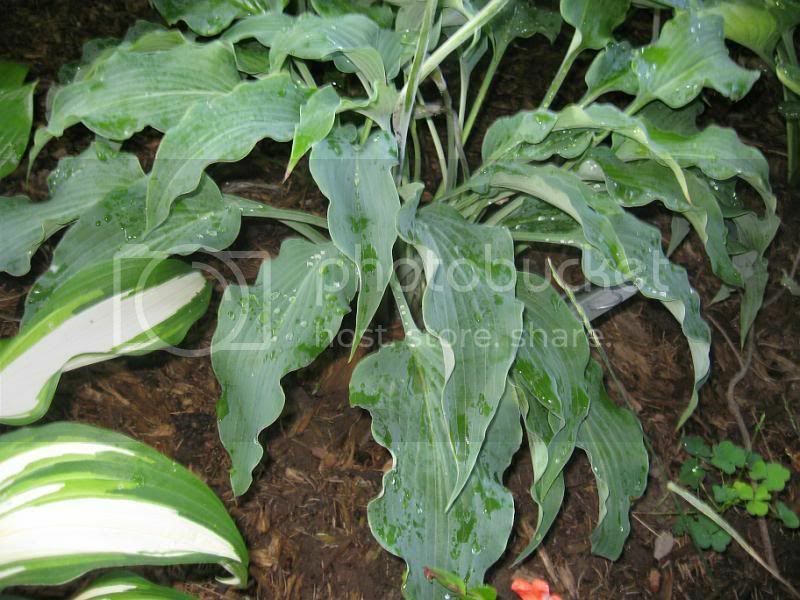 My experience with this hosta is that it's very slow growing. Maybe others have had a different experience with it? I moved mine in 2010, as it was being overgrown by other hostas. It would be great paired with darker green hostas that will bring out it's blue color.